DBU lost a few students on Tuesday. 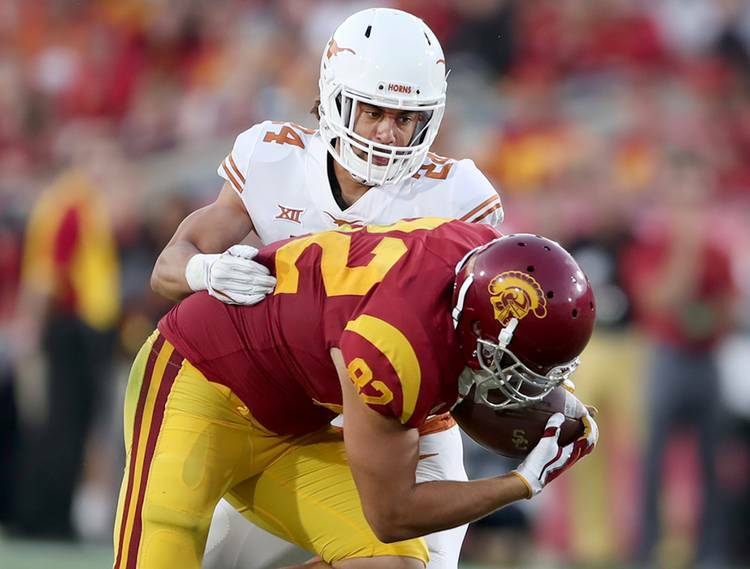 Texas defensive backs John Bonney and Eric Cuffee have elected to transfer, the school announced after Tuesday’s practice. Bonney is entering his senior season and has already earned a degree in corporate communications. Cuffee would have been a redshirt sophomore on UT’s roster this fall. Bonney will transfer to Texas Tech; he’ll be eligible to play this fall. Cuffee will join ex-Texas teammate Reggie Hemphill-Mapps at Trinity Valley Community College this fall. Bonney appeared in 37 games at Texas. Bonney made 14 of his 15 career starts as a cornerback, but he transitioned into a back-up safety in Todd Orlando’s defense. Last season, Bonney appeared on special teams and as an extra defensive back in UT’s dime package. Texas boasts plenty of depth among its defensive backs. Bonney, though, likely would have still competed for some playing time this season. In this past weekend’s scrimmage, Tom Herman credited Bonney with recovering a fumble that was returned for a touchdown. Cuffee did not appear in any games at Texas. A Waco native, Cuffee was a four-star prospect when he signed with the Longhorns in 2016. “It was a long and well-thought out decision with family and friends, but I have decided to transfer from The University of Texas to give myself a better opportunity to reach my dreams and aspirations in life,” Cuffee said in a statement.